Dear friend!You are entering the fabulous world of Russia miraculous and still mysterious to many foreigners, full of cultural and historic treasures, beautiful and unspoiled nature, and motherland to industrious, bright and hospitable people. Our main goal is to make your trip to Russia a flawless one. We are here to help individual travelers as well as Travel Agents in search of reliable, efficient and reasonably priced services throughout Russia. We are ready to address all practical issues of converting your travel plans to an unforgettably pleasant experience of real life acquaintance to Mother Russia. We will guide you step by step, from applying for Russian entry visas till the moment you wave goodbye to your new Russian friends on the way back home. That is the moment we hope you’ll start thinking about returning some day!RNG is a fully licensed company with aright to provide visa support in both the Russian Consulates in the USA and Russian Foreign Ministry in Moscow.Russian National Group, Inc.is a business corporation that provides a full range of travel and travel related services through professional and reliable ground operators in Russia. 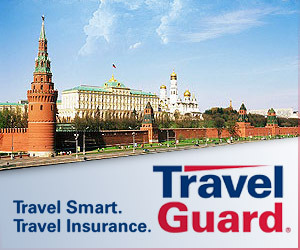 RNG enjoys the absolute best rates from Russian hotels, carriers and bus companies.Before you go, our expert staff in New York City can help you and your travel agent select the itinerary that is best suited for you. Perhaps you’d enjoy one of our escorted land packages while traveling with a group, or maybe the independent side of you would want a customized program either fully escorted or fully hosted. Or choose to travel through this land of imperial history on one of our “White Night” cruise ships along the Volga River. The choices are yours: With Russian National Group all you have to do is ask!Compare our programs with any other major tour operator to Russia. We’re so confident that when you review our tours feature by feature you will discover that we offer the best value, with packages that are the most inclusive. Plus, we offer more hotels and services than others. Our tours bring you to the best of Russia!